I’ve got another pumpkin cookie recipe today! 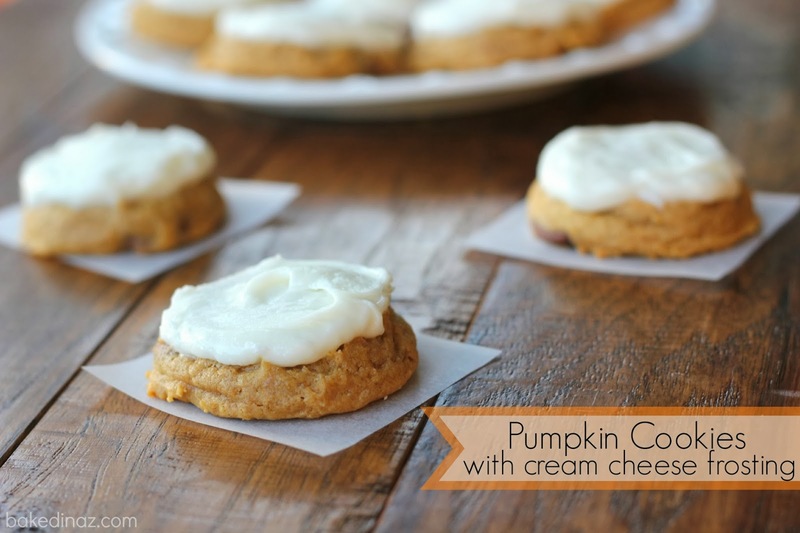 I love cream cheese with pumpkin so I was dying to try these and I am so glad I did. Dana said that she tried a bunch of recipes and these were her favorite and I can see why. We had new neighbors move in next door so I took a plate of these over to welcome them to the neighborhood. 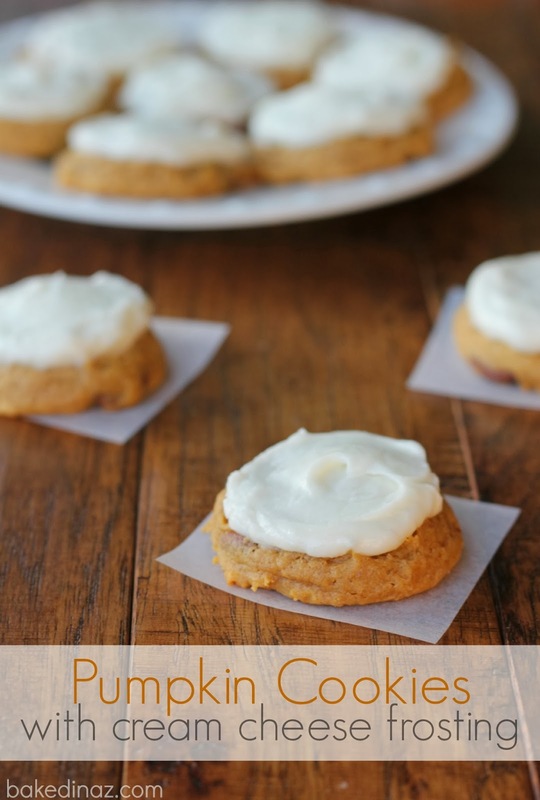 A classic pumpkin cookie with a cream cheese frosting. Preheat oven to 350. Grease your cookie sheets or use parchment paper. In a medium bowl (or mixer) cream the shortening and sugar. Add the pumpkin and vanilla. In another bowl, stir together the flour, salt, baking soda, baking powder & cinnamon. Add to the cream mixture. Stir in chocolate chips. Bake for 10-11 min. Let the cookies cool on the cookie sheet before transfering to a cooling rack. FOR THE FROSTING: Combine all the ingredients then frost the cooled cookies. These cookies are best if stored in the fridge. I enjoyed these best, cold out of the fridge. These look awesome! Gonna give them a try this weekend! Yum! 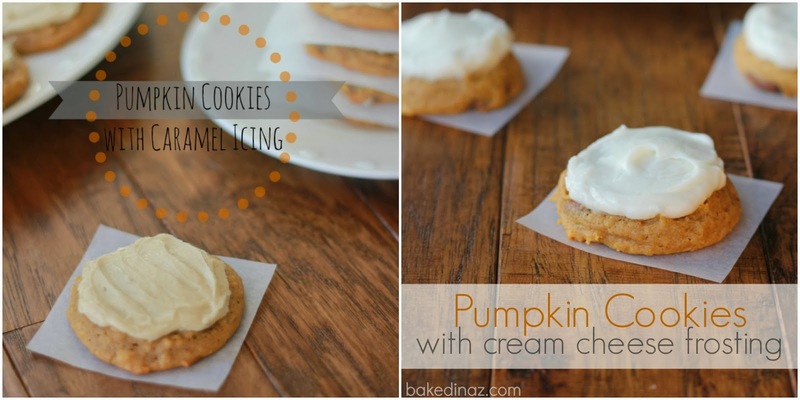 The best thing about fall is pumpkin cookies and boy these do not disappoint! I just love that frosting! Thanks for sharing these at Saturday Night Fever!